An asphalted road is an easy thing to take for granted. In Liberia, less than 10% of all roads are paved – compare that with 49% for India and 21% for Niger (2008 WB data). 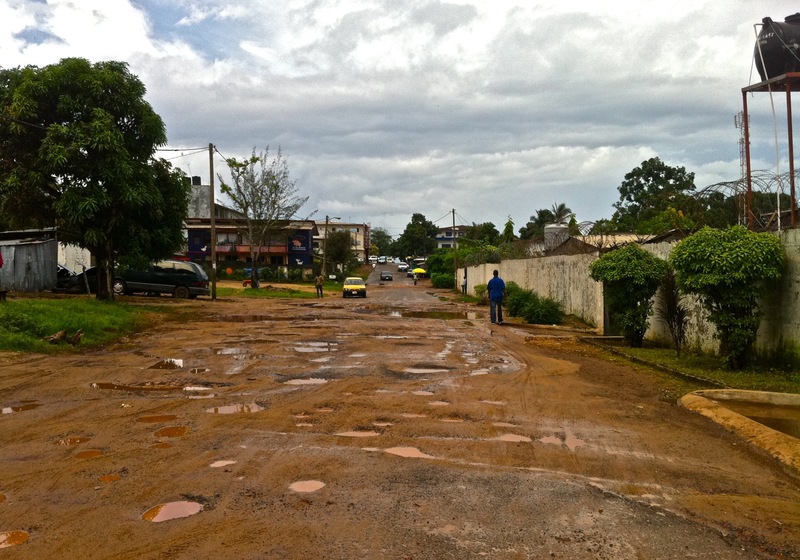 Roads were Liberians’ most desired request during the consultation process that preceded the development of the national poverty reduction strategy of 2006. Roads connect people. They facilitate access to clinics and schools. Roads maintain peace. In a post-conflict setting, they are crucial for improving the effectiveness of security forces. Roads increase income. They’re essential for creating jobs and economic opportunities, connecting markets, and reducing prices. This entry was posted in Liberia by Hala. Bookmark the permalink.